Rising above Interstate 80, Argenta Rim is an imposing fault-block and an exhilarating short climb. I drive a lot. Moving from project to project, I might be doing a pre-project reconnaissance, meeting clients or agency specialists, visiting field teams already on-the-ground, or seeking new study localities. It is part of the job and, for me, one of the pleasures of my vocation; it seems to be a highlight of my avocations too. Any highway or backcountry road puts me in touch with landscape and creates a discipline of watching for landform changes and of searching for new routes and trails deeper in. 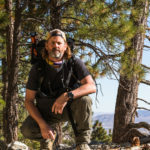 When a project takes me across the state (or anywhere really) I almost always take time for a trail, route, or locality excursion to expand my experience, or maybe just to bag a peak, run a ridge, or photograph an outcrop–there is little difference. 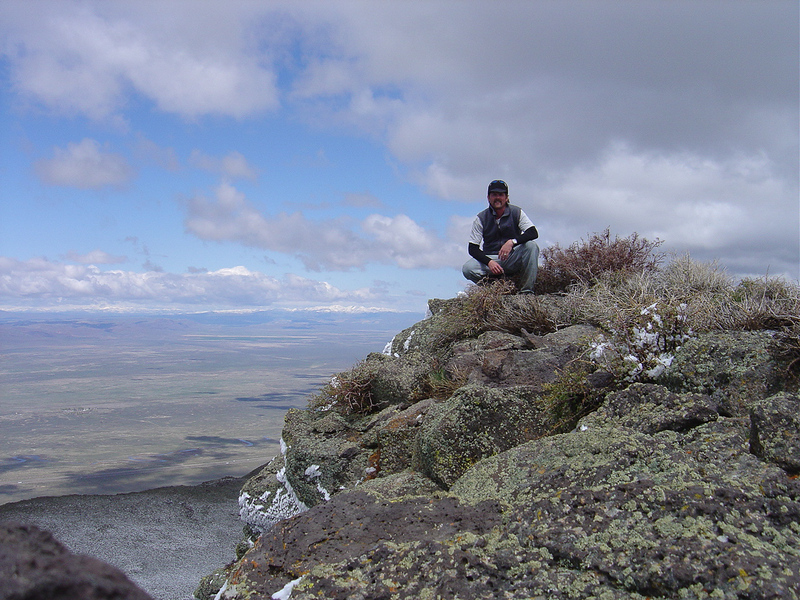 In April 2004, I worked on a project on the US Air Force ranges of western Utah, studying the Wildcat Dunes at the margins of the Bonneville Basin and the Great Salt Lake Desert (i.e., the West Desert from the perspective of Salt Lake City). This required several back-and-forth trips on Interstate 80. 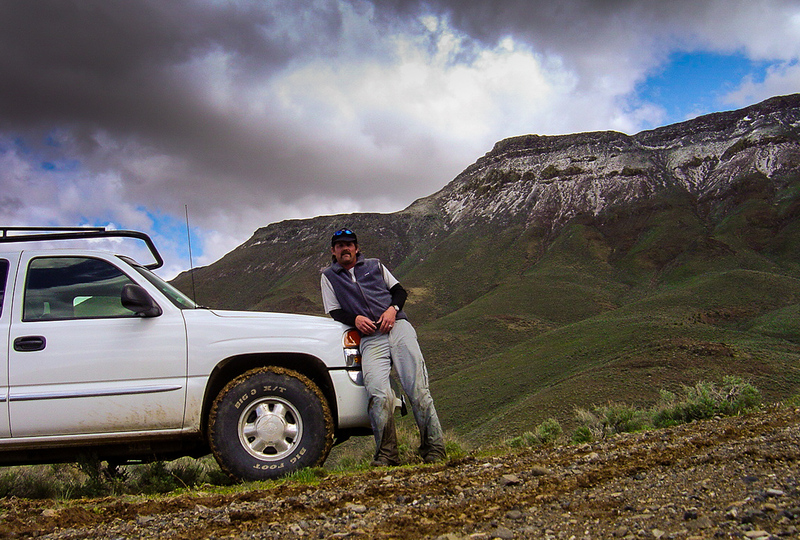 Each time, between Battle Mountain and Carlin, Nevada, Argenta Rim called out for a walk. 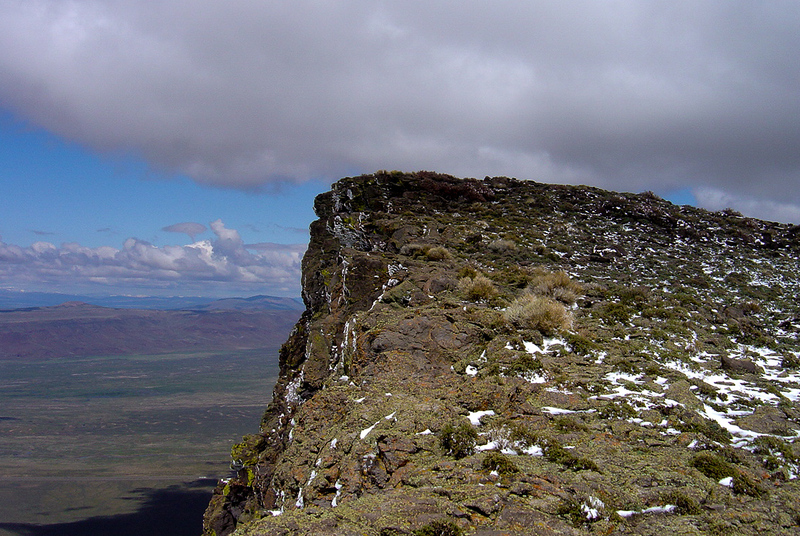 The Range Argenta Rim is a volcanic ridge that rises prominently above Interstate 80 and the Humboldt River. A northerly extension of the Shoshone Range where Mount Lewis (2950 meters) wears the crown, Argenta Rim is a relatively low, tilted fault-block separated from its parent range by Whirlwind Valley. It is a minor set of hills and scarps that gains its prominence (and ease of access for a walk) as it rises abruptly above the Humboldt River floodplain and the busy interstate travel corridor – the escarpment looks more imposing than it is. The rim and adjacent rimrock-stepped hills are not your typical highlighted range or peak-bagging target, but on my many traverses of I-80, I have always stared at its capping outcrops and I simply had to get up there. My Route Exit 244 – Argenta – provides a jumping-off point from either direction while traveling Interstate 80. Turning south and then immediately east, a paved road heads toward the mine entrance at Mosquito Canyon; do not turn for the gate. Continue east on the highway frontage road as it changes to a maintained dirt road. This road veers sharply south as it heads for Water Canyon on its eventual path to a set of radio towers at the southern prominence of the rim. The towers sit at what is sometimes referred to as Argenta Rim West, but I am not sure where databases in Googleland collect naming information – I have not seen this on a USGS map yet. As a very simple alternative, driving the road to the towers gets you to the rim, if hiking the escarpment without much elevation gain sounds attractive. I stopped driving as soon as the road overlooked the swale of Water Canyon. A cold morning rain made the road slightly interesting and the truck’s tires were beginning to chew things up and spit muddy clods into the wheel wells. Although some clearance gives confidence, the road is an easy drive for most vehicles, when conditions allow. There are places to pull off along the road and these provide good parking, but use caution and quickly shut down your rig as, in season, the grasses can be brutally dry and fires start all too easily. But on this spring day, the rain had soaked everything. My route basically dropped into the dry wash of Water Canyon and continued straight east to southeast, up swales and ridges toward a narrow break in the rimrock. 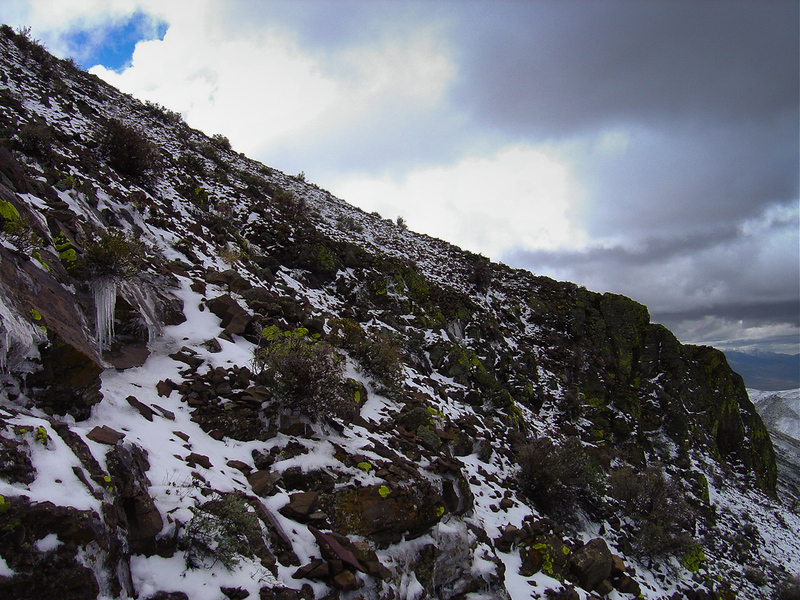 It was still quite cold and the freeze line seemed to remain at about the 2,130-meter contour (7,000 feet) where ice draped the rocks and pogonip clutched at larger brush. The ice crystals playing in the bright yellow lichen made for a pretty hike, the scudding clouds gave it a touch of drama. I cut through a few outcrops and gained the top of the rimrock – you could pick about any spot to access the top, but there are a few natural stairways. The summit is undramatic but the views into the Humboldt River Valley and along the slopes into Whirlwind Valley are worthwhile, especially when framed by the low, moving cloud-line. A thin veneer of snow and windswept frost decorated the sloping escarpment. After the relatively brief vertical gain of about 500 meters (~1,600 feet) from truck to summit, the drop back to Water Canyon Road was quick and easy—500 meters is my minimum rule for thinking about an ascent as a “climb”. It is an arbitrary number, but it allows a lower margin for routes to search out and consider. The point is to get out and see things, experience the pogonip, wander an escarpment, and get into the view that the windshield fleetingly provides. Argenta is worth a stop.